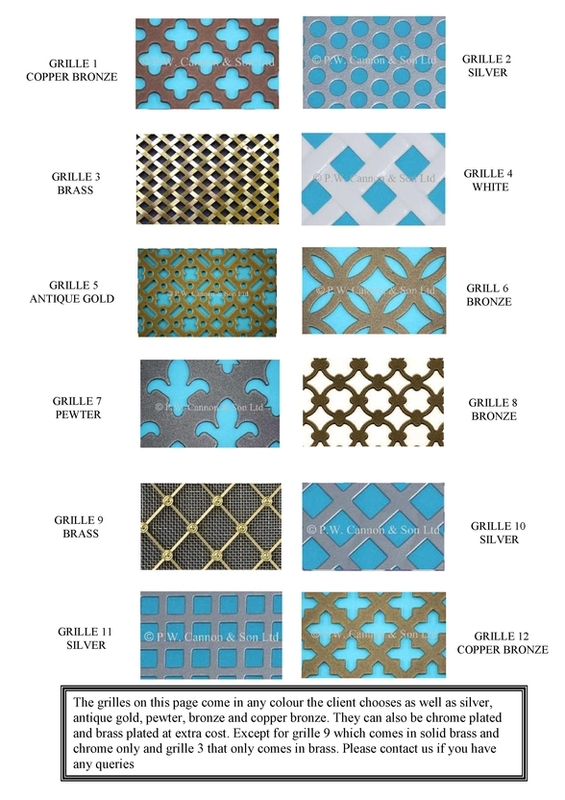 ALL OUR GRILLES ARE HIGH STEEL POWDER COATED. (WE DO NOT USE THE LOW QUALITY MDF ONES AND ARE THE SAME PRICE, PLEASE GO TO RADIATOR CABINET RANGE FOR PRICES. EXCEPT GRILLE 9 (THIS IS HAND-MADE SO PLEASE RING FOR PRICE).